Gone are the days of balloons and a Victoria sponge. 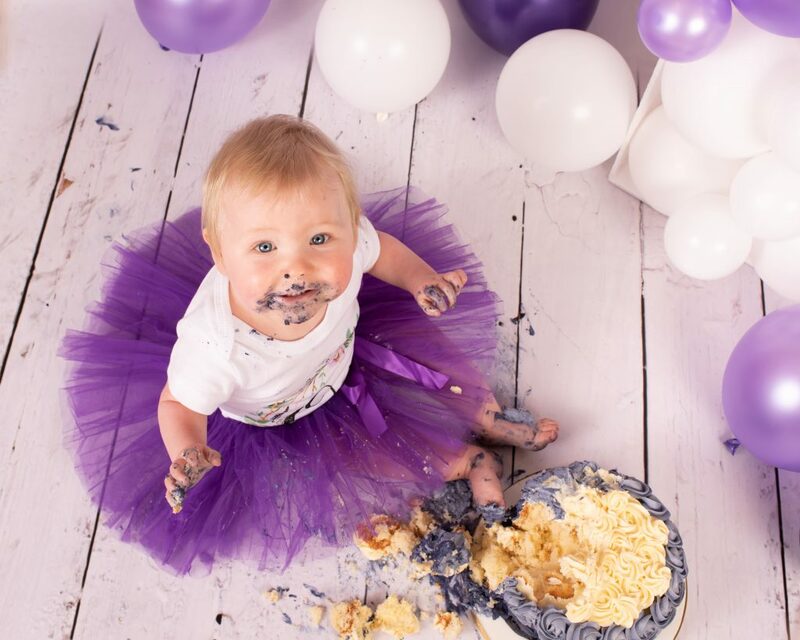 If your baby is having a birthday, there’s only one way to celebrate: with a cake smash!! 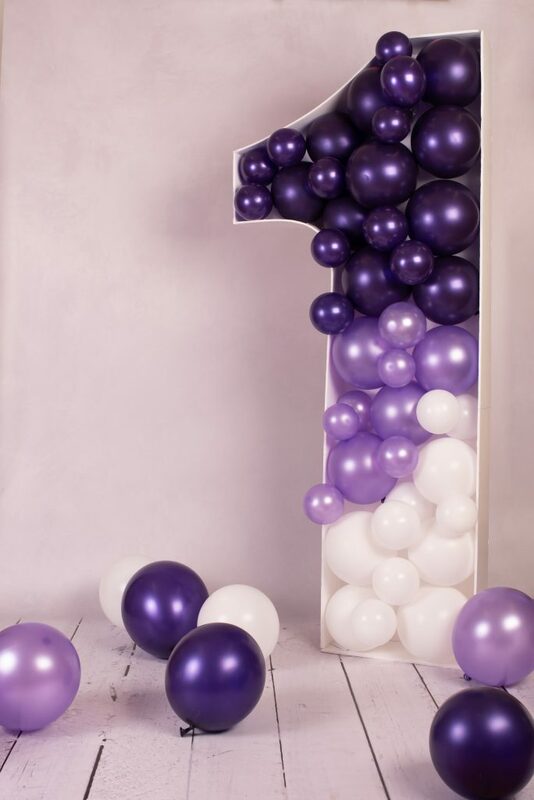 Turning one is an important milestone, a very proud moment for parents and family. A photo session to mark this occasion is a really valuable investment, after all, your child will never turn one again! Cake smashes are messy, fun and a perfect way to capture that cheeky and innocent personality. DECIDE YOUR THEME – have a look on the internet, Pinterest is great. Save some examples of what you really like and have a think about how you can make it happen. Do you have an outfit to go with this particular theme? Or do you need to pick up something new? Do you want bunting to go with it? Flowers? Balloons? CHOOSING YOUR CAKE – your cake doesn’t have to cost a fortune! It’s a great idea to approach a professional cake maker, but if that’s not in your budget, have a browse in the supermarkets. You can get a great cake for a tenner and they look really lovely! Remember the brighter the colours of the cake the better! 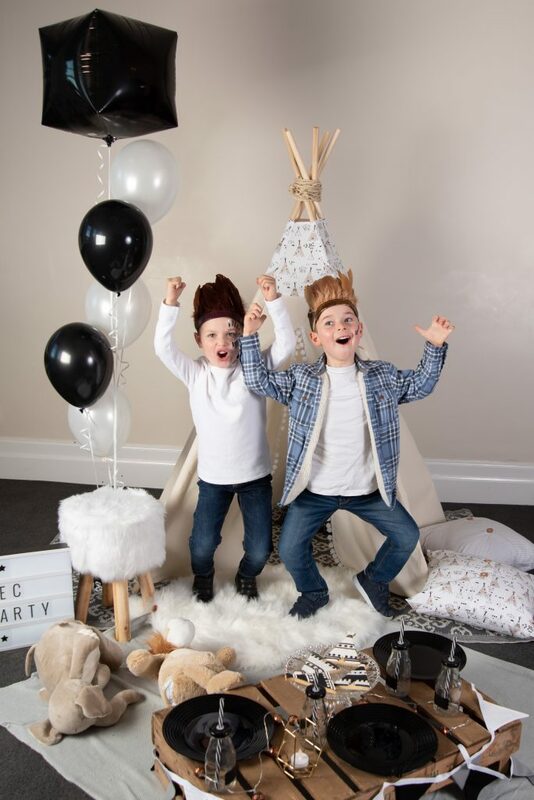 PROPS – Spatula’s, different outfits, favourite teddy bears and cake stands, all of these things can add to a cake smash shoot and make it look super amazing! TIME – Choose a time in the day when you child is happiest. Ideally not straight after a nap or right before. We also want your child to be interested and hungry for CAKE! Timing is very important so think about when is most suitable. All of this for just £210!! Saving you £140 on our individual prices. Sessions are being held at Whipsnade Village Hall on the Sunday 2nd of June between 10am and 3pm. Click here to find out more and to book in your 30 minute slot. Valentine’s day, or St Valentine’s Day is celebrated every year on 14th February. It’s a day when people show their affection for one another. St. Valentine was actually four different people, all of whom were canonized by the Catholic Church due to their various good works. One of the first of the St. Valentines was executed as a martyr for helping Christians wed. At the time of his good deeds, marriage was sometimes controlled by the state, so it was considered a crime for some to wed. He helped people get married at the risk of his own life, as well as performing other good deeds. The other three Valentine’s also suffered a similar fate, due to their insistence of helping people who wanted to be married or wanted to live their lives in their own way that was not endorsed by the Roman government. Knowing the sacrifice these men made to help others be married shows their compassion for human beings and the lengths they were willing to go to, in the name of love. 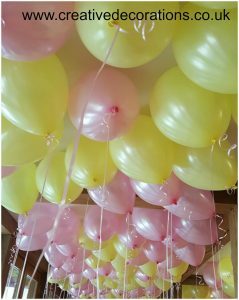 At Creative Decorations, we have plenty of ideas for the big day. Below are 3 ways you can surprise your loved one on the 14th! Send a beautiful helium-filled bubble balloon. Personalise your bubble with your own words of ‘love’ and personalised messages. 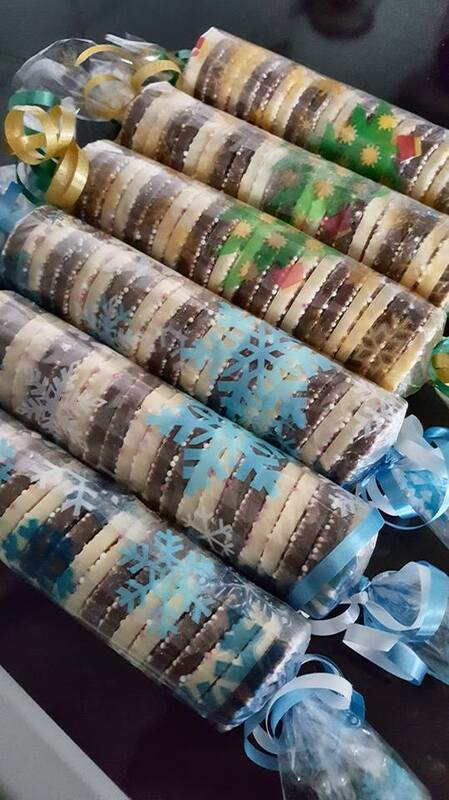 Don’t forget to select your Bubble filling & ribbon/garland. 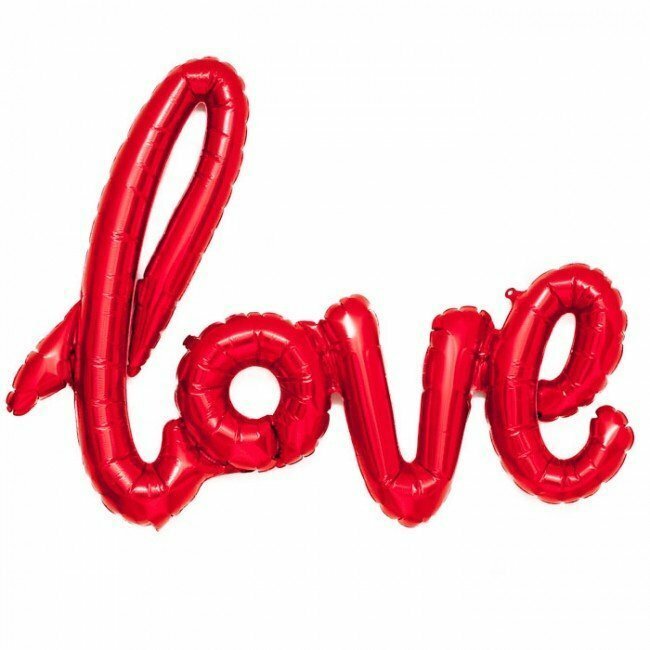 We have a range of feathers, confetti & mini heart balloons to choose from. 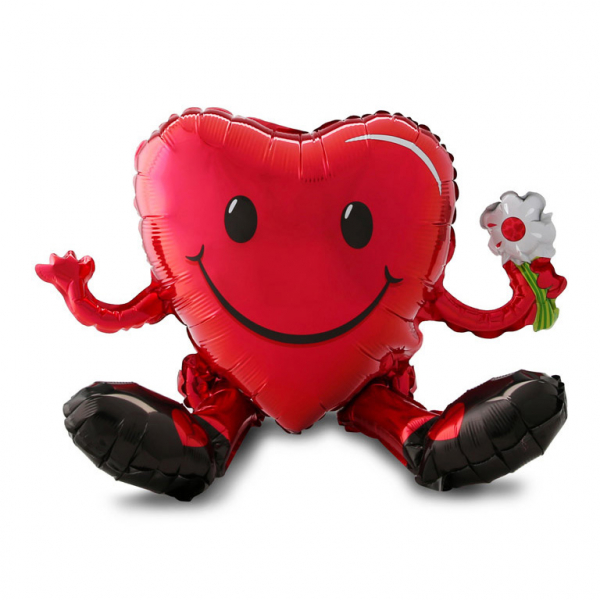 Send a helium-filled large Ring Balloon – Maybe you are going to ‘Pop’ the question this Valentine’s Day? Decorate your space! 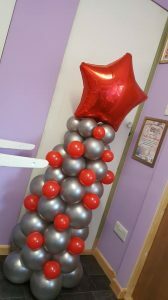 Make your workplace or bedroom look amazing with some beautiful balloon decorations, LOVE letters and confetti balloons. The Top 8 Places to Spend New Year! Are you tired of seeing the same faces on New Year’s Eve? Do you want to see new sites, new environments and meet new people? From fireworks shooting across stunning backdrops to crazy street parties in cool capitals and all-night raves on warm beaches, there’s no shortage of amazing ways to ring in 2019. So, start the year as you mean to go on! You could wake up on the 1st of January in a brand-new city after a night (and maybe morning!) of celebrations! 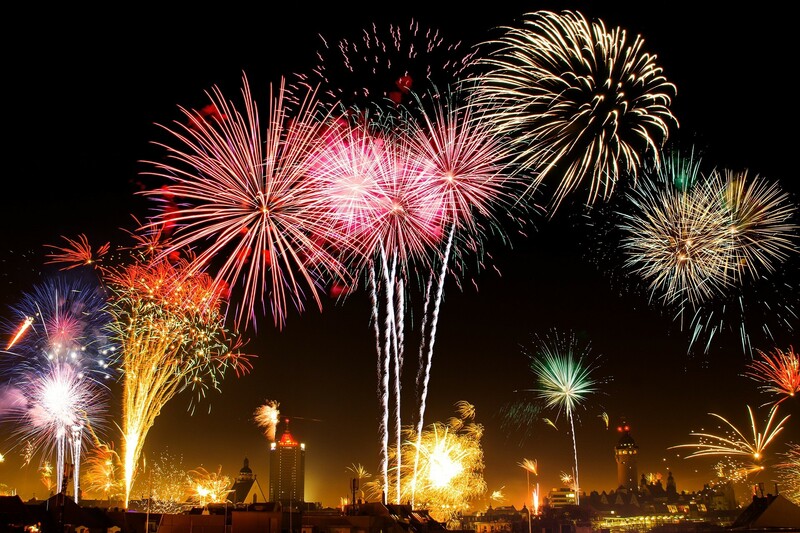 Here’s our top 8 places to spend New Year! London is a fabulous place at the turn of the year. At midnight on New Year’s Eve, London’s night skies will be a blaze of light and colour with a display of stunning pyrotechnics from the river on London’s famous South Bank. Get your family and friends together and say cheers to 2019! New Year’s Eve is primarily a street festival in the Roman city centre. Many Romans eat at home or in the restaurant and at midnight they flock to the city centre, to the Coliseum or to the vantage hills to celebrate and watch the fireworks. Even the nightclubs turn up on New Year’s Eve, to celebrate the new year. An iconic Times Square New Year’s Eve celebration is not only a New York tradition, it’s a global phenomenon. An estimate of one million revellers will flock to the land of LED screens to witness one of the best NYC events in December, which includes star-studded New Year’s Eve concerts, the inevitable surprise engagement and a chance to be featured on live television. The Scottish capital’s famed three-day Hogmanay extravaganza kicks off on 30 December, with a Viking-style torchlight procession along the Royal Mile. The big night itself includes Franz Ferdinand headlining Concert in the Gardens, which wraps in time for gig-goers to catch unequalled views of midnight fireworks over Edinburgh Castle. An adjoining street party dance on into 2019. Celebrations continue on New Year’s Day with live music and the traditional fancy-dress dip in the freezing Firth of Forth (known as ‘the Loony Dook’). Sydney Harbour’s firework extravaganza is watched by more than a million people gathered along the foreshore – but a better idea is to join the boatfuls of people bobbing in the water. You can hire out a boat, bring your own bubbles and start the countdown early. You might prefer to reserve an outside table at one of the waterfront restaurants by Sydney Harbour Bridge for a front-row seat, but ensure you book early! New Year’s Eve has its very own name in Poland called “Sylwesters”. Head to Kralow for a celebration like no other as this city has a reputation for hosting one of Europe’s biggest open-air parties. Rynek Glowny, Krakow’s beautiful medieval square, has a huge light and laser show with live pop acts to dance along to. People gather at the free celebrations both in the square and around the city to wait for the clock to strike. If you’re looking for a city break closer to home, Dublin’s a great option and the Irish sure do know how to party! There’s the iconic Temple Bar, which is a must-visit for anyone’s first time in the city. It’s especially magical on New Year’s Eve, where you’ll find the celebrations spilling out of the pub and into the lively city streets. You could also choose to catch the Liffey Lights Midnight Moment, a light and laser show timed perfectly against DJ tunes that really get the party started. As one of the ‘friendliest cities in the world’, Dublin’s locals are always there to make sure you have a great time too. With quirky performances, dancing in the street and sharing a pint of Guinness with strangers-turned-friends; it’s all waiting for you this New Year’s Eve! When it comes to New Year holiday destinations, nothing quite compares to hitting the streets of Barcelona. The Catalans sure know how to party, and from super clubs to avenues, the celebrations continue early into the morning. Greet January in a traditional way on Plaça d’Espanya, where you’ll find a stunning light show filled with music and special effects. All the excitement is centred around the Magic Fountain. If you are partying at home here in the UK, don’t forget us! 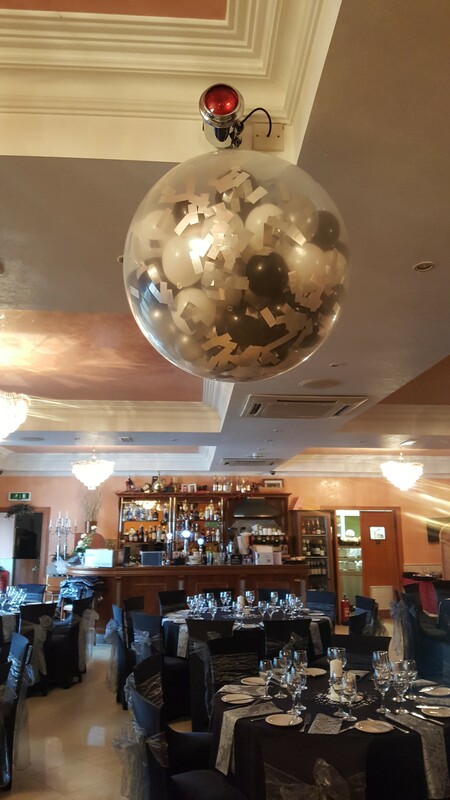 We provide wonderful celebration balloons for your New Year’s Eve party, our most popular being our ‘pop’ balloon with confetti creating a magical moment for when the clock strikes 12! With Halloween well and truly out of the way, it’s time to start talking about all things…. CHRISTMAS!! Christmas is coming and along with it comes the festive party season. 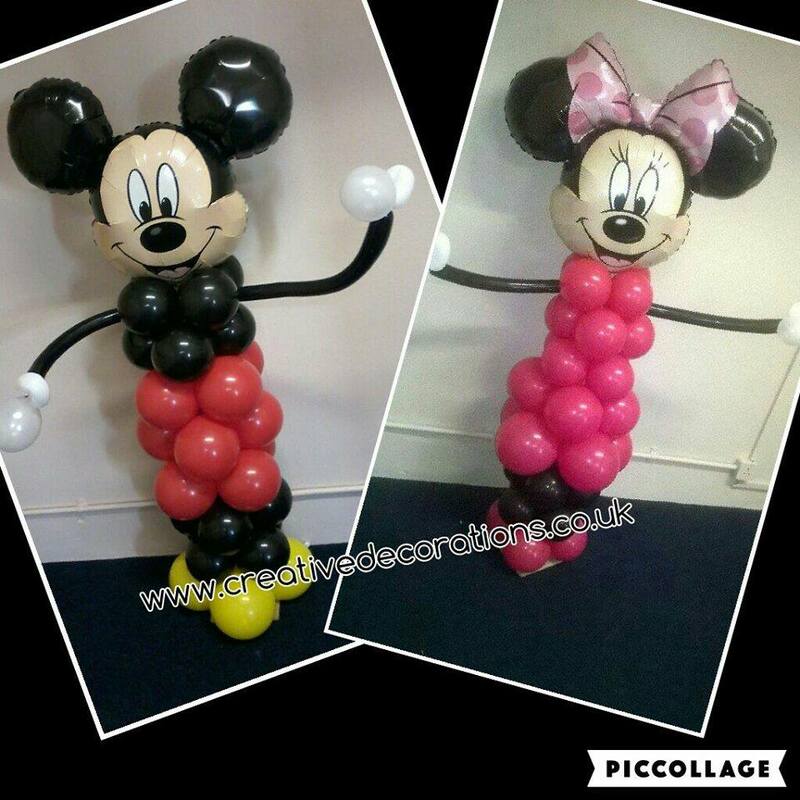 Here at Creative Decorations we can offer you an exciting range of party balloo ns and accessories perfect for all of those upcoming events that you may have planned. But before we go into that, we’ve put together a few ideas for hosting the perfect Christmas party! Here’s our 8 must-haves for a great Christmas party! 1.Create a Christmas Playlist on Spotify. Nothing sets the mood better than some good ol’ Christmas jams. Rocking Around the Christmas Tree, All I Want for Christmas and The Pogues are absolute winners to get your guests singing and dancing! We all know someone that turns up on Christmas day with the worst Christmas jumper you’ve ever seen. Make it a theme! You could reward the person with the worst jumper with some festive treats! Have lots of food. Food, of course, is the most essential aspect of your party. Everyone will be looking forward to your festive snacks and not having to cook dinner when they get home because they’ve filled up on all of your “goodies.” Cookie trees, marshmallow Santa’s, Christmas crunch popcorn, the list goes on and on. Get creative! 4. And Don’t Forget the Festive Drinks. Have a pot filled with hot chocolate, some eggnog in the fridge and some hot apple cider in the slow cooker. It will fill the room with the scents of Christmas and add to the occasion. 5. Set up a Christmas Photo Booth. It doesn’t have to be anything fancy. As Pinterest has taught us, throw a red sheet on the wall, grab some Christmas themed prop, like Santa hats and reindeer antlers, and you’re ready to go. Now you have proof of all the fun you’ve had… after all, if you don’t post a photo on Instagram of the party you had, did you even have it? Everyone loves party games and it’s a great way to have a laugh and relax. Some good ones include a gingerbread decorating comp, white elephant and the Christmas gift wrap relay. Have fun with it! You will already have thrown around a bit of Christmas cheer in your home with your Christmas tree and/or decorations. 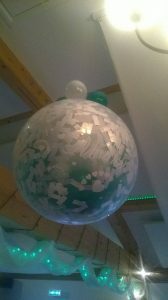 Why don’t you add a string of fairy lights across the ceiling or around windows and doors? Add a bowl or tray full of sparkly baubles and a few festive candles on your table, this will be enough to create a festive atmosphere. 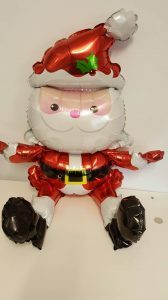 Or call us and let us add some Christmas balloon trees, personalised foil balloons or even some little elves for the shelves! The best way to get all of your friends interested and excited about your party is by sending out invitations rather than just sending out a mass group text. Throw some creativity and thought into your invitations! These look fabulous and add that wow factor to any party. Add a touch of something different to your event with these wreaths, or just a decoration for your home for you! Beautiful. With star balloons! Put your own message on them to make them personal. Wedding fairs range from the large national events attended by t housands, to small and intimate afternoons at local venues. Whether they are big or small, they are all worth a visit. As the bride, you can expect to be treated like a celeb from the moment you get there, and everyone will want to talk to YOU! It’s also a fab day out with your friends and family. Wedding fairs are full of suppliers with everything you need plus more for your big day! Most wedding fairs have an amazing catwalk showcasing all the best dresses and designs for brides, grooms, bridesmaids and even mothers of the bride! A huge added bonus! There is usually a bar providing yummy prosecco or champagne for you to have a glass or three while you take a well-deserved rest from all that wedding browsing! There will be lots of wedding cake suppliers at each wedding fair offering samples of their finest cake! Chocolate, strawberry and champagne are just some of the flavours you would expect to sample! There will be a few unique ones in there too if you fancy something a little more unusual. You will fall in love with flavours you didn’t even know existed and your cake will be unforgettable. 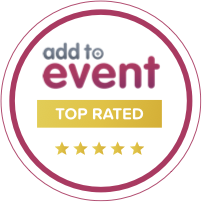 Lots of wedding fairs will offer you a discounted rate for anything bought or booked on the day. You could save hundreds on your dress if you are feeling brave enough to buy one on the day. For a supplier, attending a wedding fair has to be worthwhile so many will prepare a special offer for the show too! 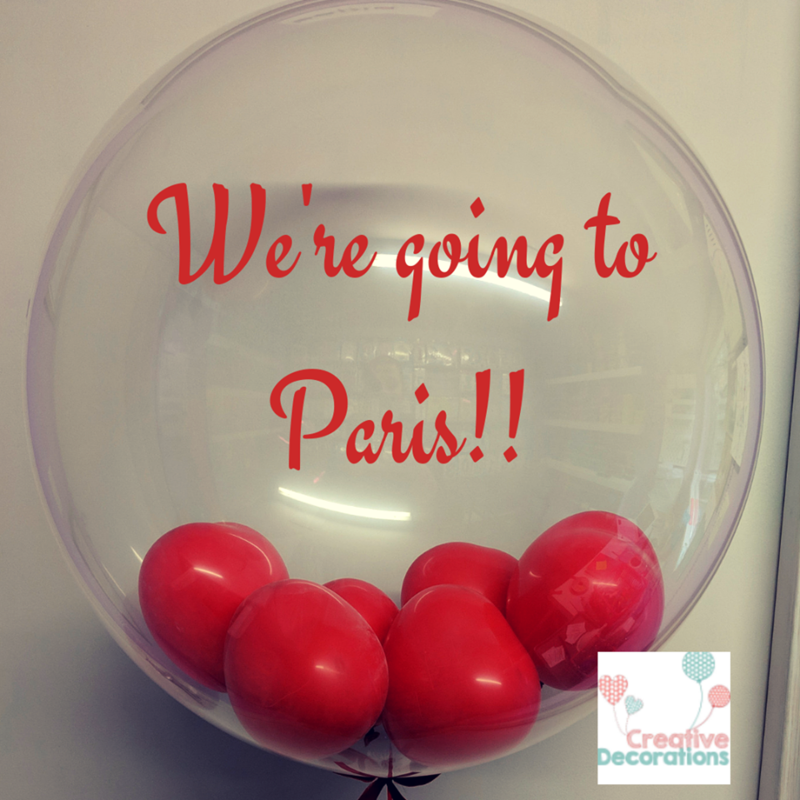 This is a great advantage of major fairs – there are so many suppliers, you’re bound to see a huge selection of all kinds of things, from stationery to honeymoons to hen do packages. You’ll see things you never even thought of before! Make sure you take lots of pictures of everything you like so you can look back at them when you get home. Whether you attend a big or a small event, it’s a good idea to talk to as many suppliers as you can. If you see something you like, go for it – ASK! Ask about them, ask about their experience, their best-selling products or services, suggestions, anything at all. Creative Decorations will be attending the following wedding fairs this year. 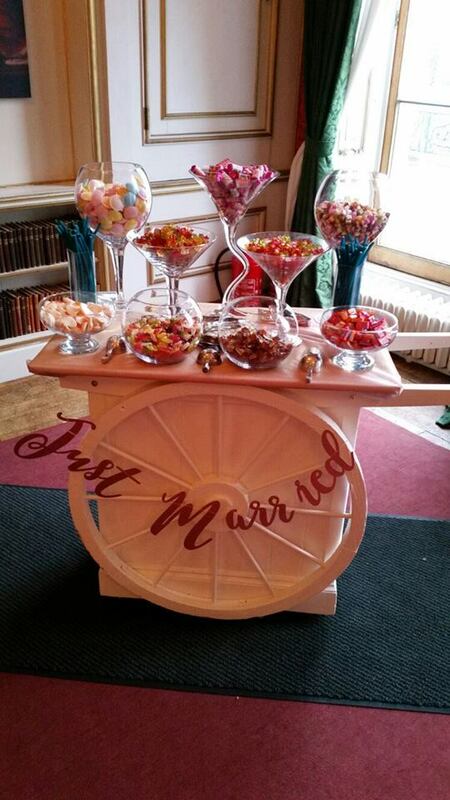 Pop by and say hello for all of your Wedding Day Balloon and Sweetie Cart needs! With A Level and GCSE results almost due, there’s so much to celebrate and so many people to thank! August is the time for the dreaded exam results. It’s the time of year, whether you’ve just finished school or you’re a college leaver, that the local papers will be full of pictures of ecstatic young students jumping for joy over the contents of their brown exam results envelope. The radio will have numerous students bursting with pride, announcing to its listeners which university they have gotten into and parents will have their fingers hovering over their phones anticipating THE call from their beloved. Whether you’re equally excited about your results or just want to forget about them and move on, we’ve put together a few ideas of ways to celebrate and some gift ideas for all those involved in the crazy exam period. Whatever you’re doing, you might as well start it off with a bang! Show your loved one how proud you are, whatever their results, with a surprise balloon bouquet ready and inflated for when they get home. 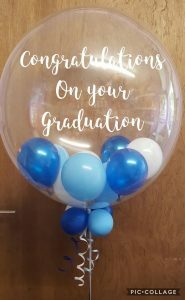 We have a range of foil balloons with different messages, or you could personalise a balloon, with your own message if you wish to make it extra special! Teachers are fab, and at the end of each school year many people like to show their gratitude and thanks to a teacher for all of their help and support. You could club together with your friends and buy a balloon in a box. Say “thank you” or “congratulations!” with one of our sweet gifts! 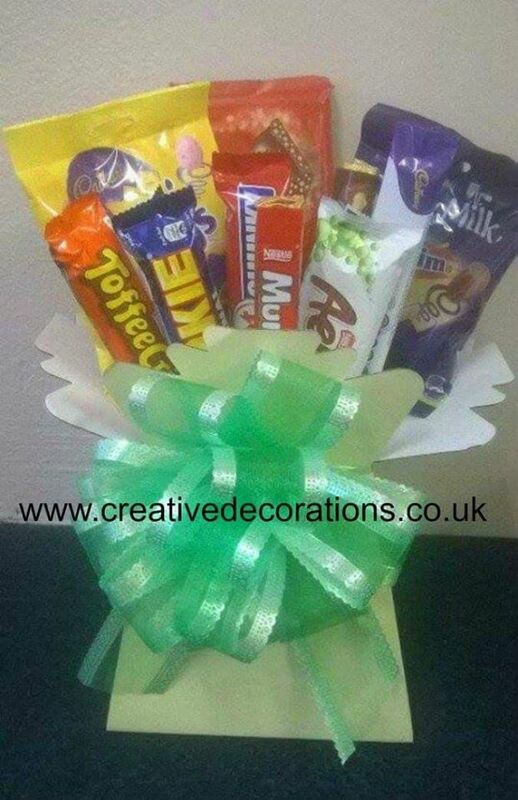 We offer a huge selection of sweets and chocolate to go on your tree or in a bouquet, so pick your lucky recipient’s favourite treat and surprise them with one of our funky and unique trees. Are you doing a graduation party/ end of school party? 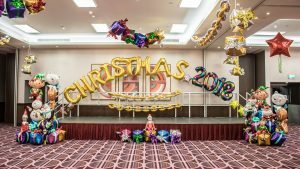 Balloons are a fantastic way to add some colour and fun to your event, whether they are to walk through at the entrance of the venue, to decorate a garden or go above the DJ decks, they certainly give that “WOW!” factor. 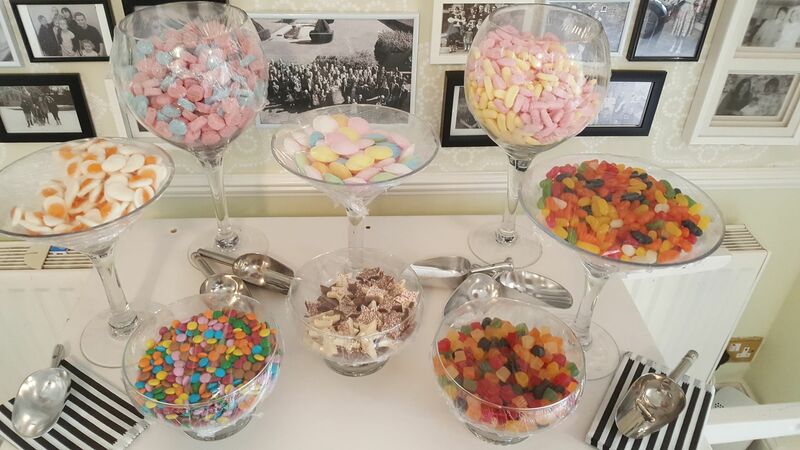 If you’re having a party, don’t forget that we also have a sweet cart. 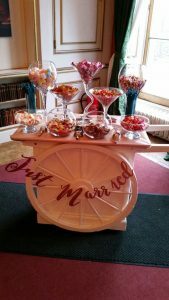 Our sweet carts are supplied with scoops, tongs and bags to match your colour scheme, and you get to keep whatever is left at the end. Why not add some of our balloons to the cart too? If you’re having a party, or just fancy some glitter in your hair for prom, we can do that too. 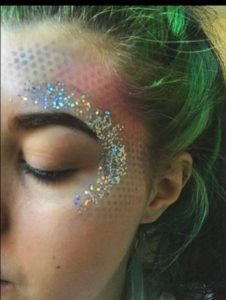 Glitter roots are all the rage at the moment, and you can really stand out at your party or prom! 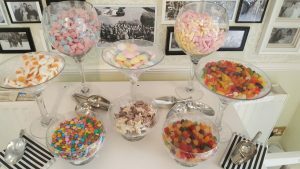 If you are having a themed party, let us know! Nicole can do a range of designs to suit any occasion. All of our face paints are formulated to be Paraben and fragrance-free and are made of premium cosmetics ingredients. 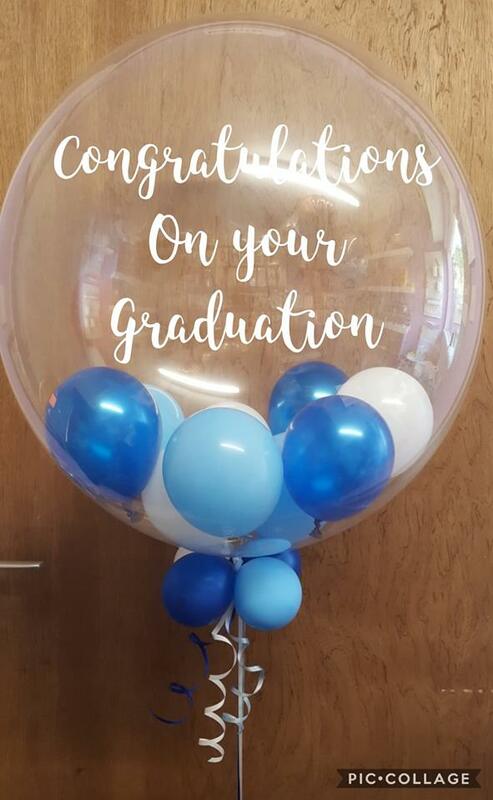 Whether it’s a “thank you” gift, “congratulations” balloon or a party, Creative Decorations can help! 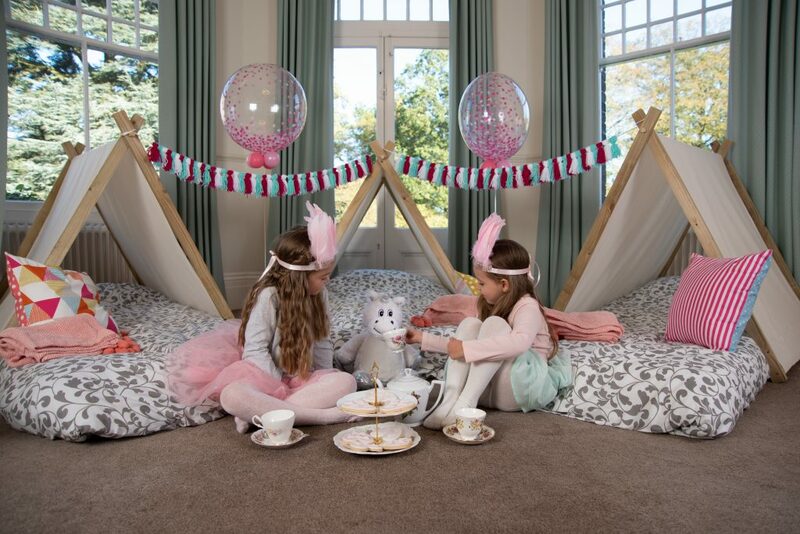 Drop us a message to discuss your bespoke party needs and gift ideas.